If you were fuming about the Google and Hershey's Android 4.4 KitKat Contest not being available in India, you are in for great news. Google has now launched the contest in India too. 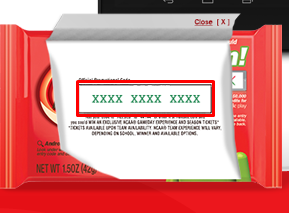 In first week of September, 2013 when the Android 4.4 KitKat was launched, Google had announced a contest in the United States where the winners received a Google 2013 Nexus 7 and Google Play Credits. The contest at that point of time was available only to US citizens. Now Google has launched a India specific Android 4.4 KitKat contest and you stand to win a Google 2013 Nexus 7 every hour on the hour. Once you send the message you will receive a feedback message saying that you will be contacted soon. You can keep yourself abreast of the contest happenings here. Google will be giving away 1000 Google Nexus 7 tablets and the last date of the contest is 15th November, 2013. 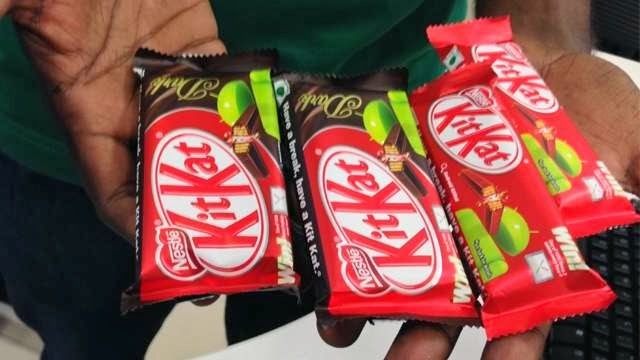 Remember the Offer is applicable on KIT KAT 2F, 4F & KIT KAT Dark only. 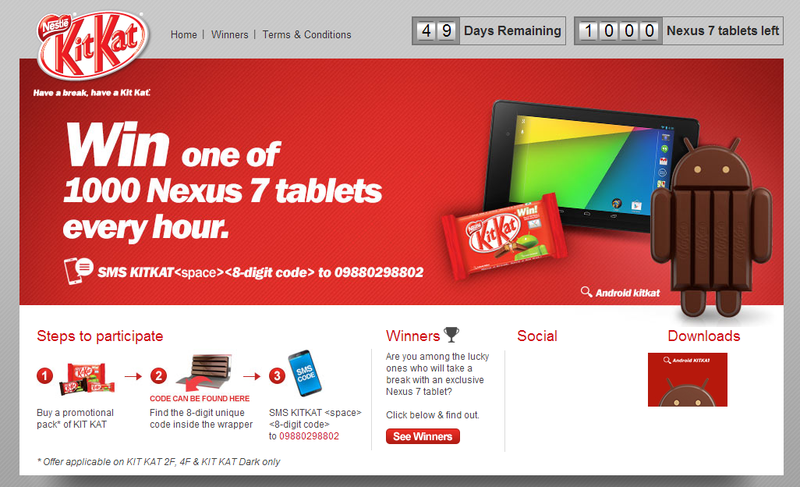 So have a break, go out and have yourself a KitKat and maybe you will win the Google Nexus 7. So many contests every other day.